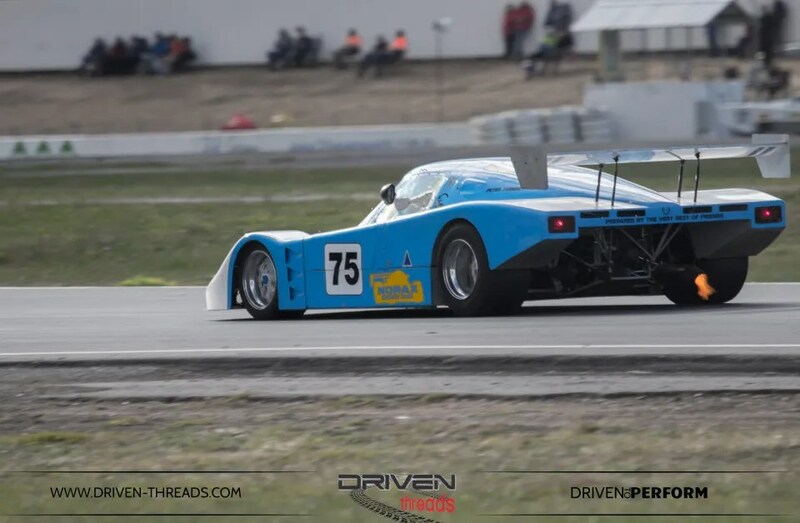 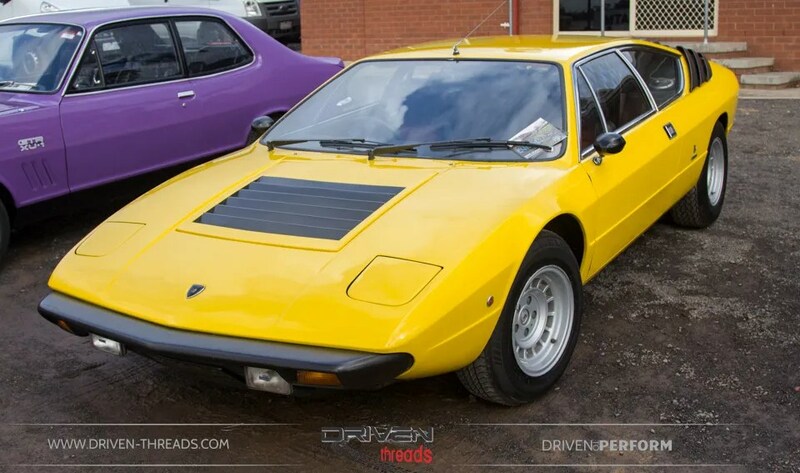 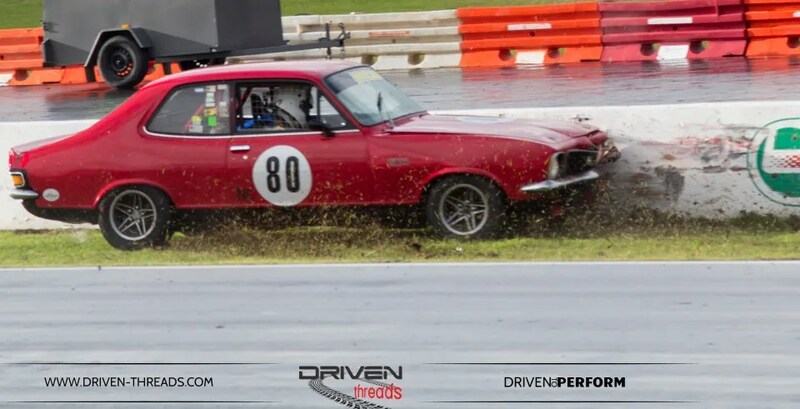 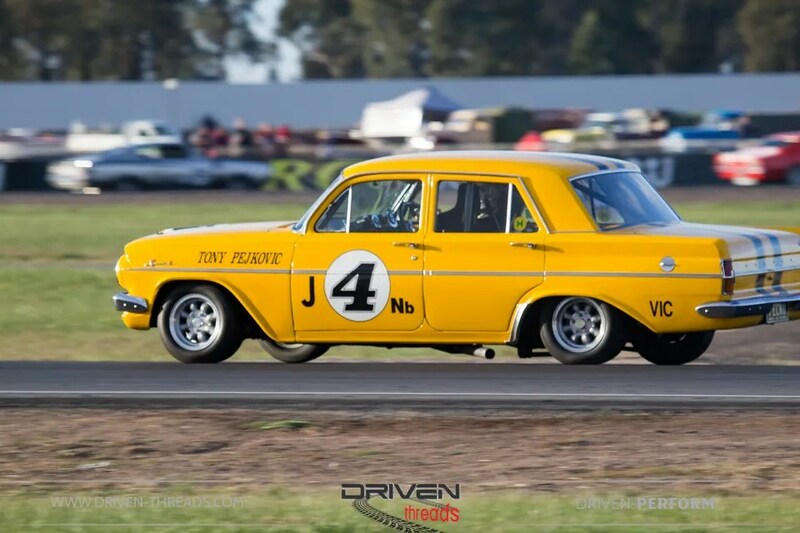 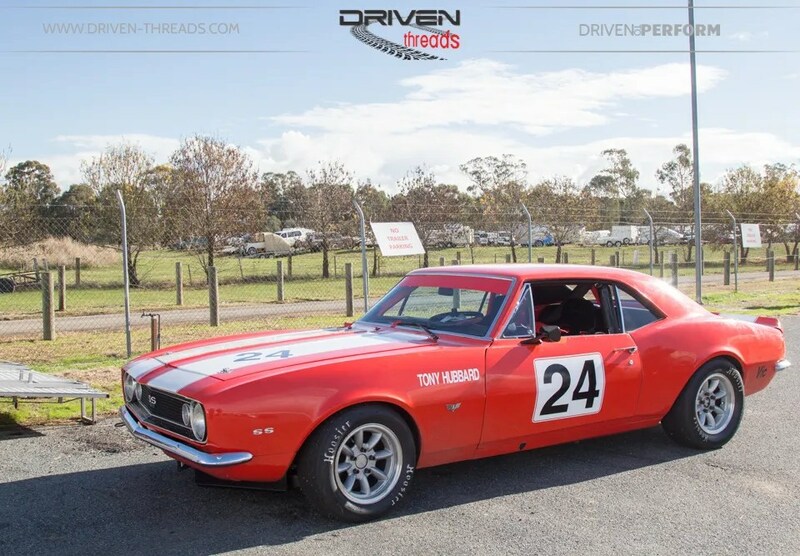 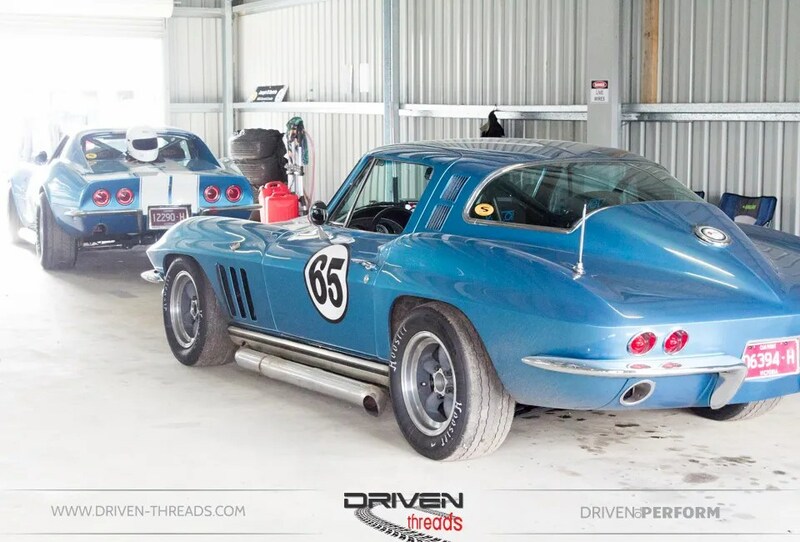 Historic Winton is a must do event for all car enthusiasts. 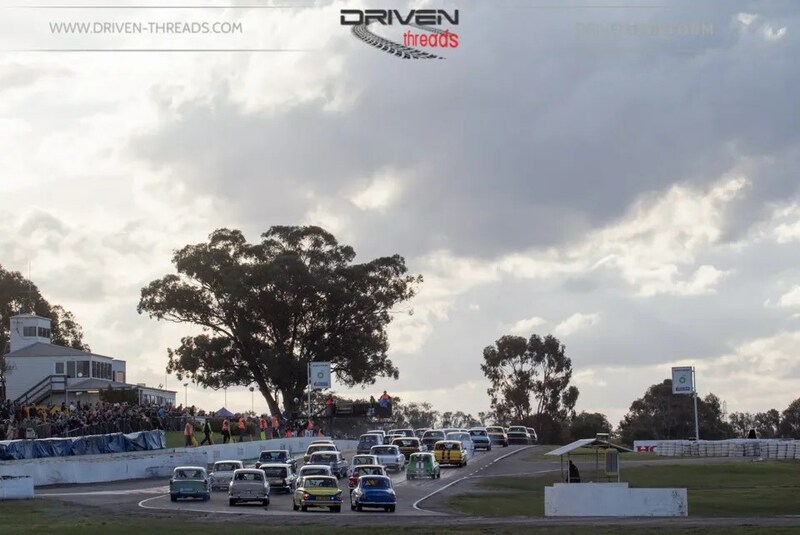 It’s relaxed feel, action-packed racing and unique ability to unite all car enthusiasts makes it time and time again, an unmissable event on the motorsport calendar. 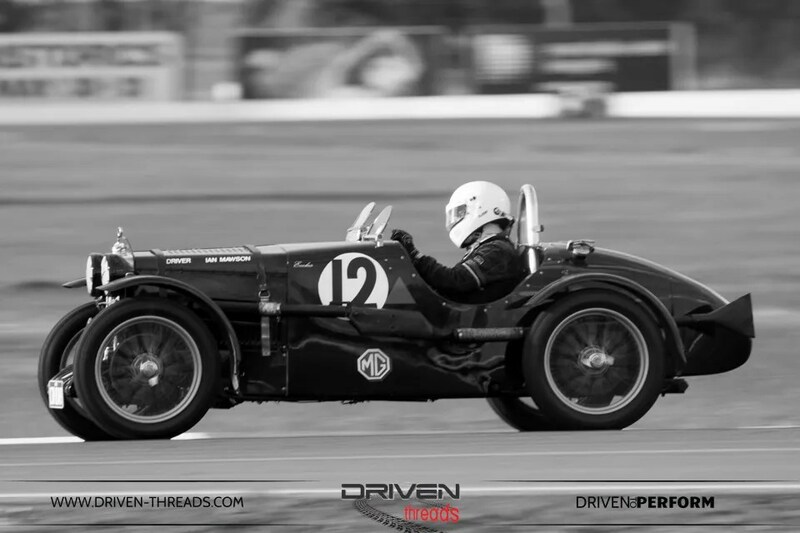 Check out our impressions of last year’s event here. 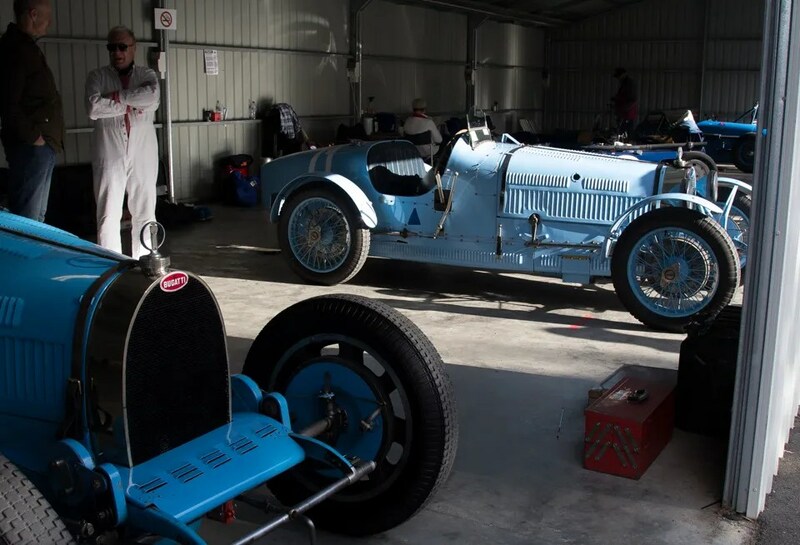 If you’ve been living under a rock, Historic Winton honours the motorsport narratives of the past. 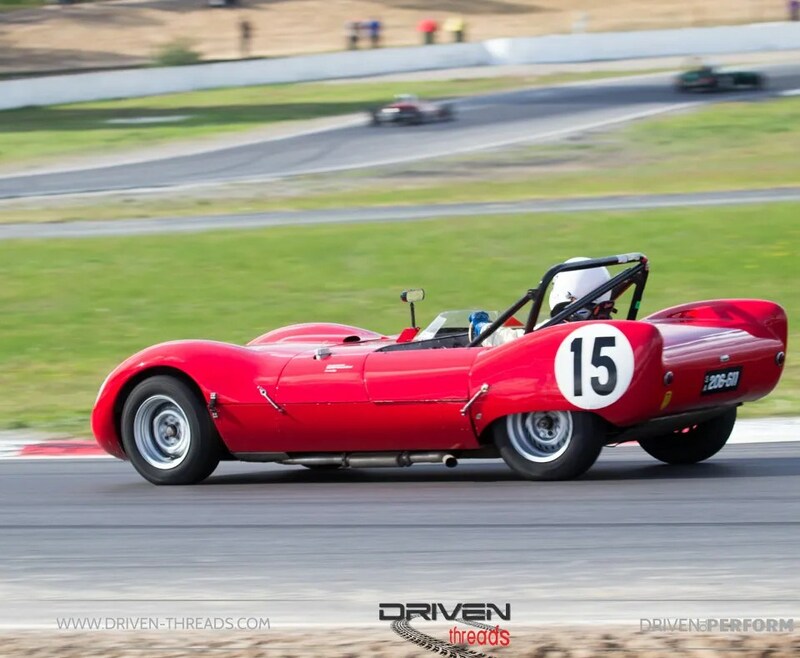 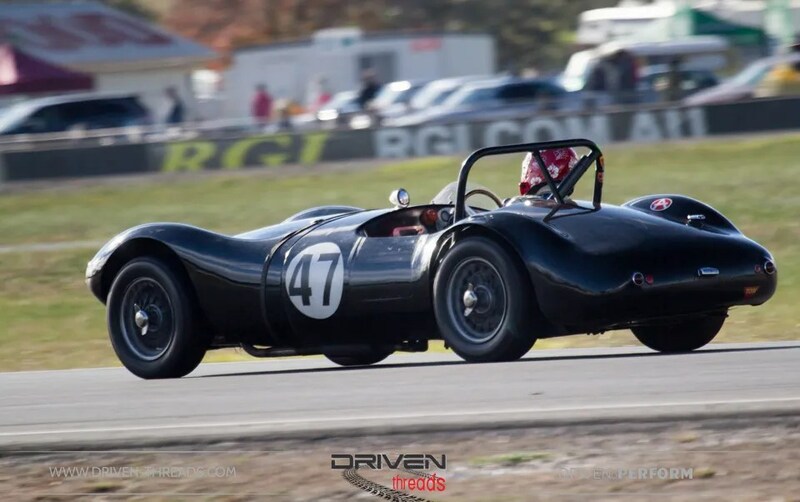 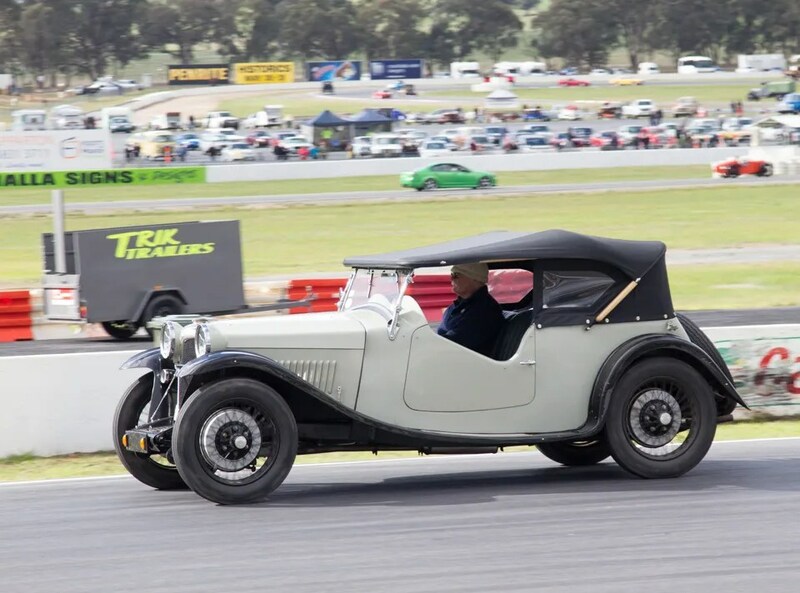 It’s Australia’s largest and most popular all-historic motor race meeting brilliantly organised over two days of non-stop racing. 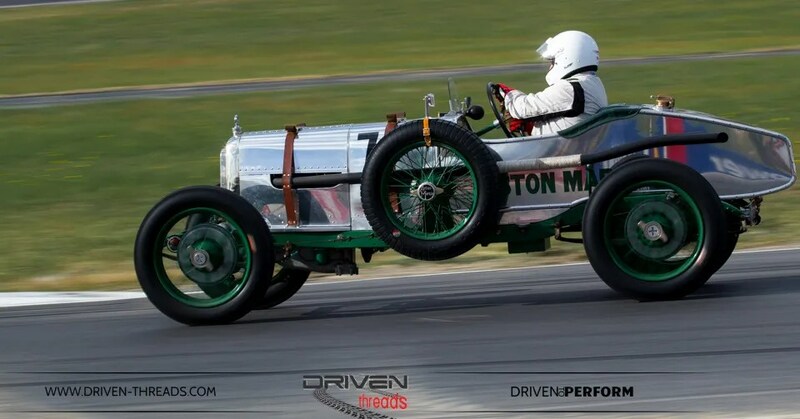 Plus a few thrills and spills. 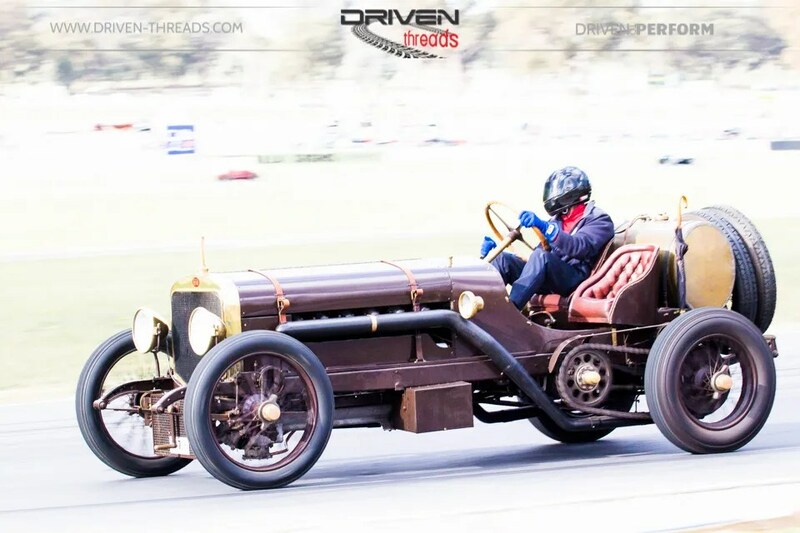 This coverage just scratches the surface of this magical event that featured over 400 historic racing cars strutting their stuff. 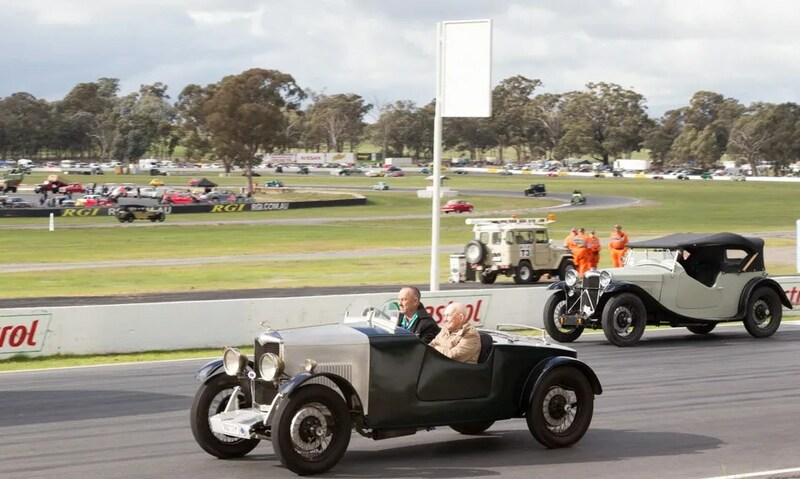 As well as magnificent motorbikes from the 1920s to the 1980s. 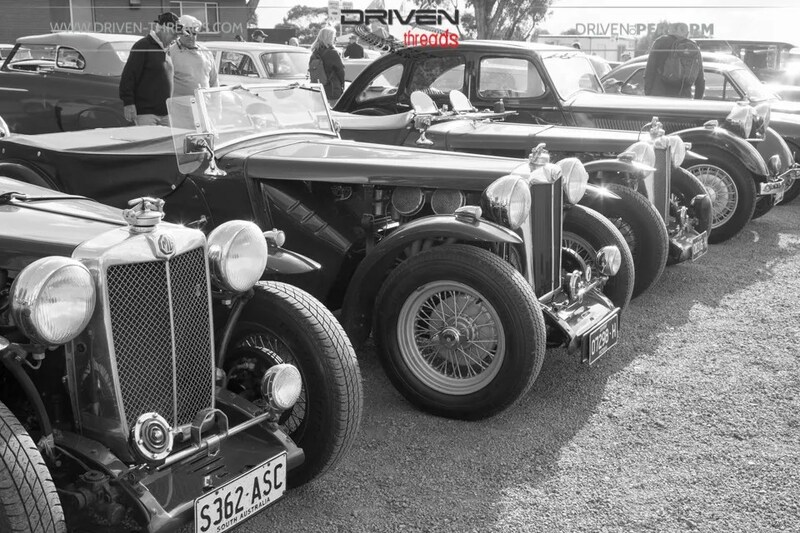 An engaging heritage display of veteran and vintage vehicles again proved popular. 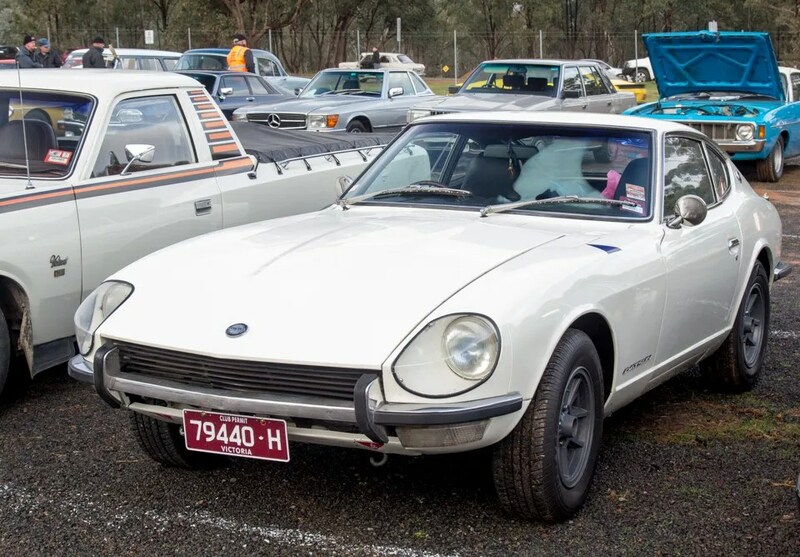 We set off early on Saturday morning in the 240Z, its first long distance trip in a long time. 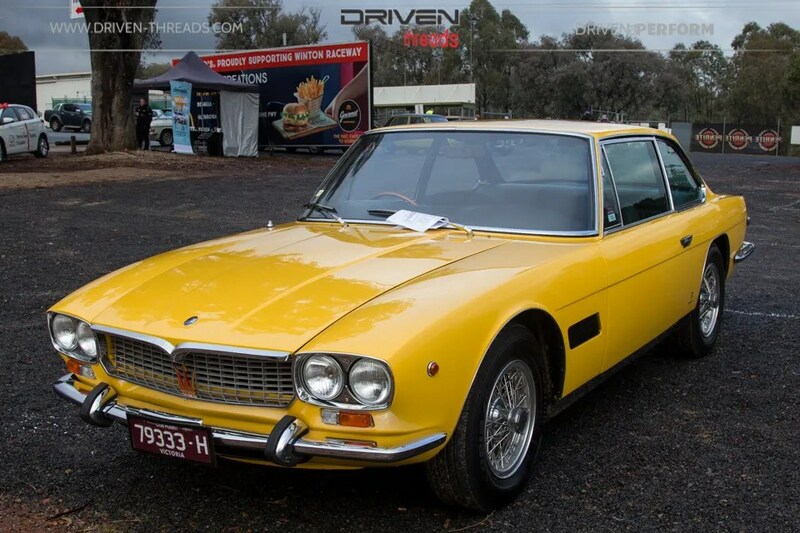 It performed admirably and now there is a long list of items requiring attention for next year. 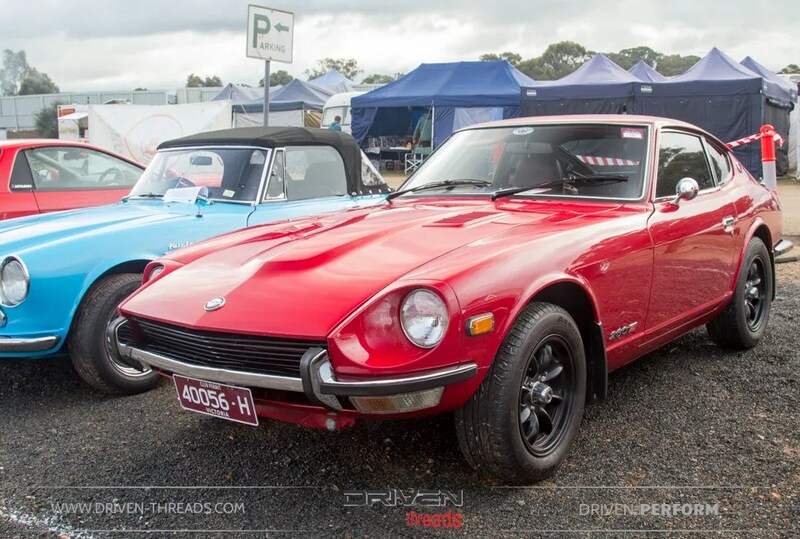 Pleasingly, it was in good company with this beautiful Fairlady roaster and immaculate 260z also in presence. 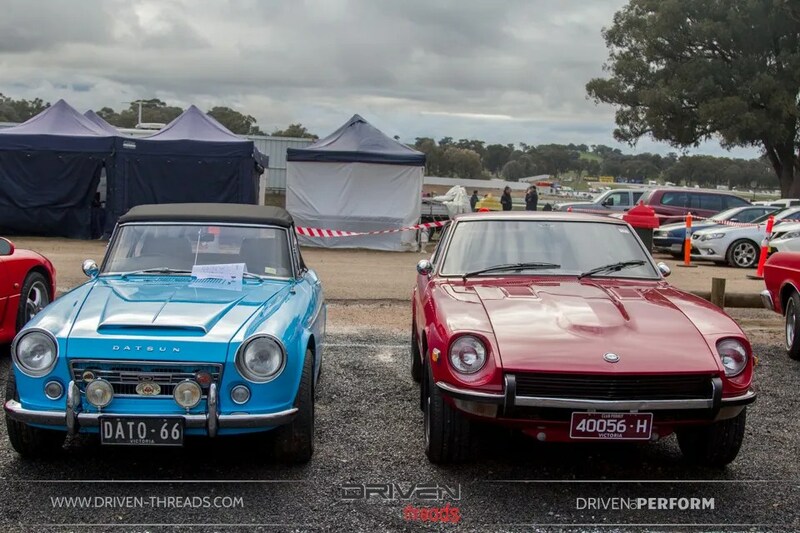 Diversity is the word here. 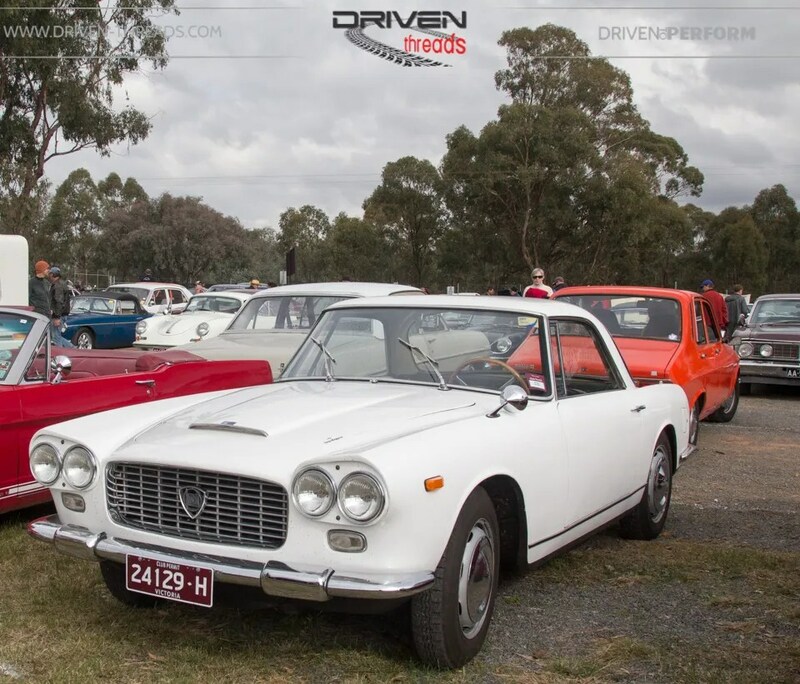 The variety of the cars in the classic car park is world class. 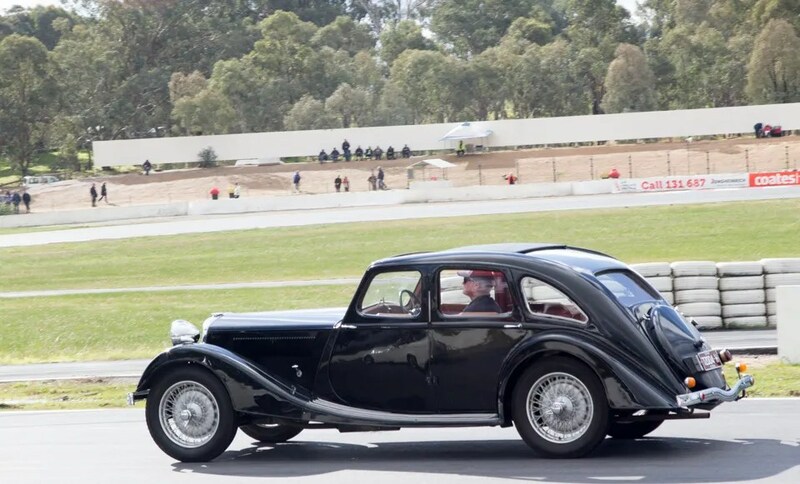 Many people going to a lot of effort to drive from Melbourne or beyond. 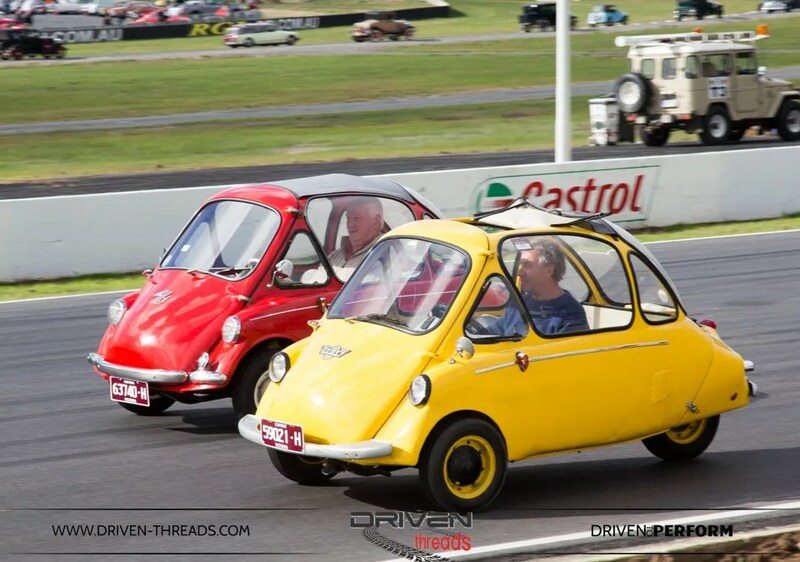 Its a bit like the United Nations everyone is represented. 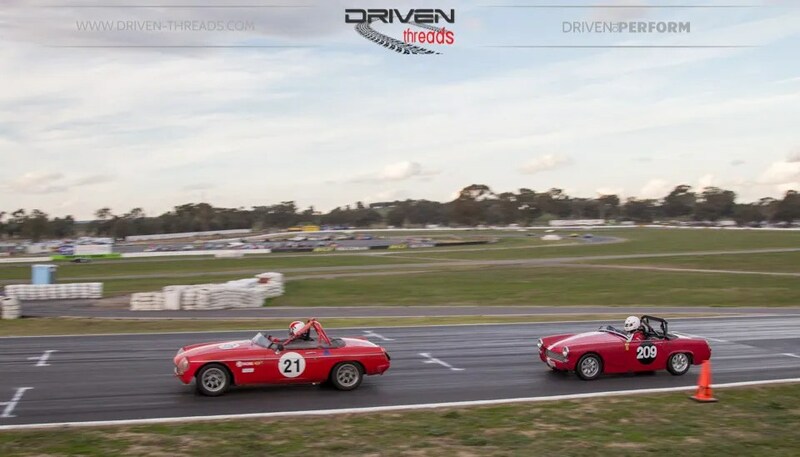 Back on track, one of the most memorable battles of the meet was in group NC. 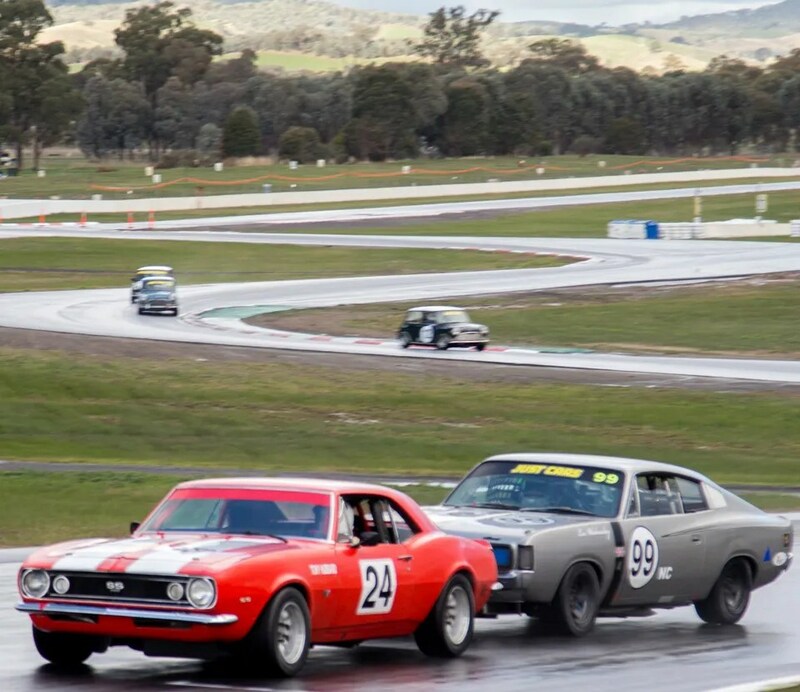 The tough ’72 Chrysler Charger driven by Les Walmsley battled with Tony Hubbard in the amazing sounding ’67 Chevrolet Camaro. 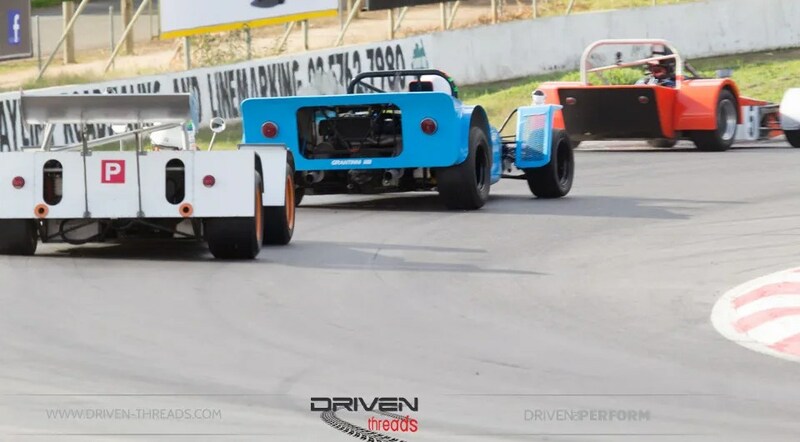 With a 398cc advantage the Comaro had the power edge on the straights but the Charger has greater agility through the corners. 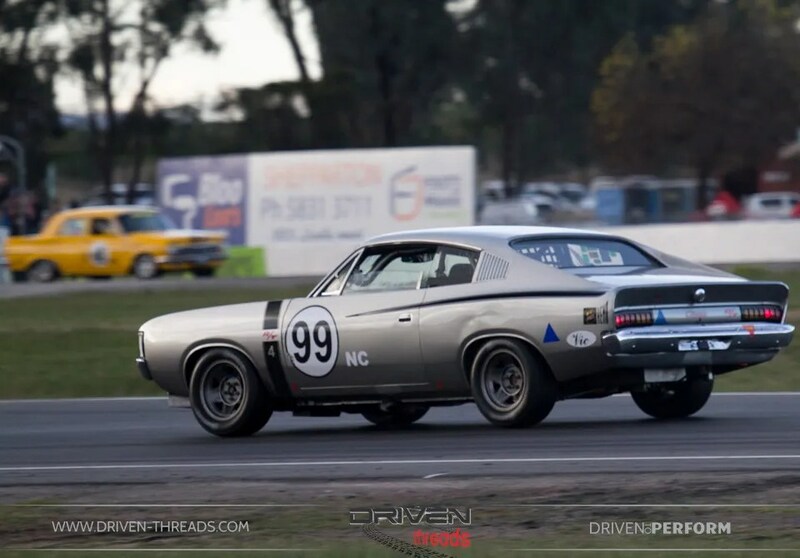 In most races the Camaro took victory, however in the exhilarating final race the Charger fought back relentlessly and won. 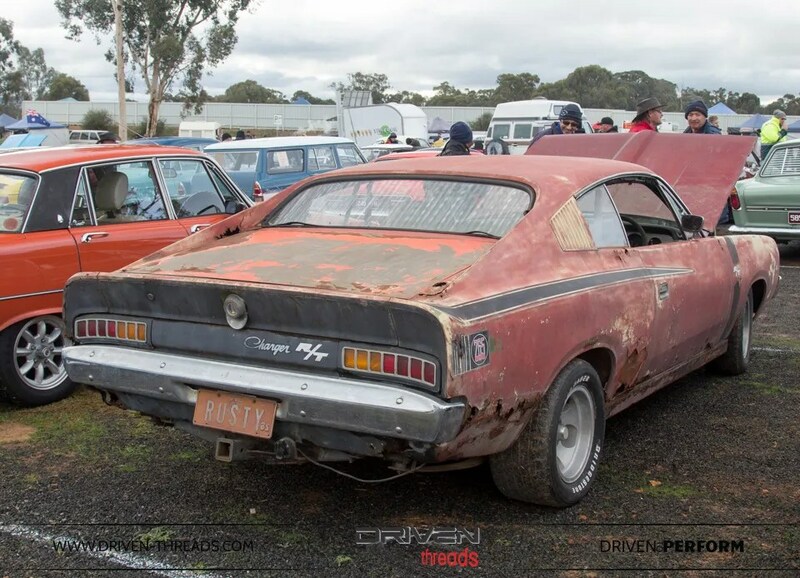 Although, lightweight we suspect this ‘RT Charger isn’t quite match-fit for Group NC racing just yet. 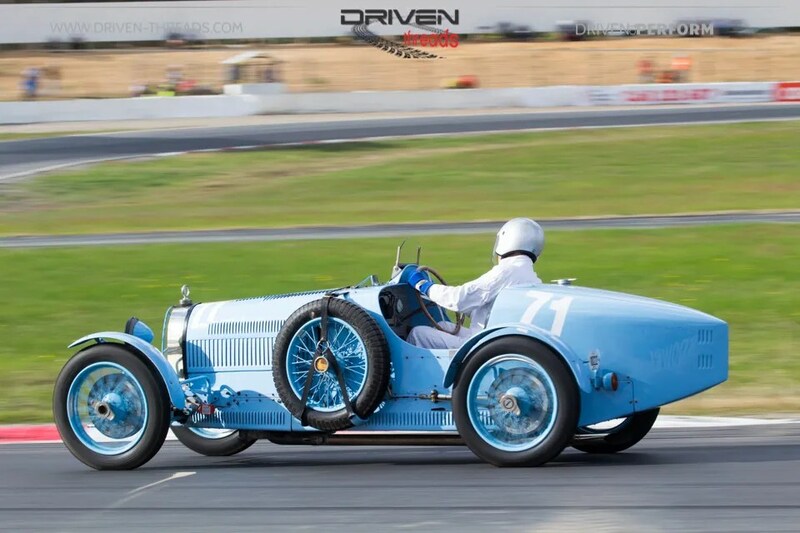 This notable car could only be described as a work of art. 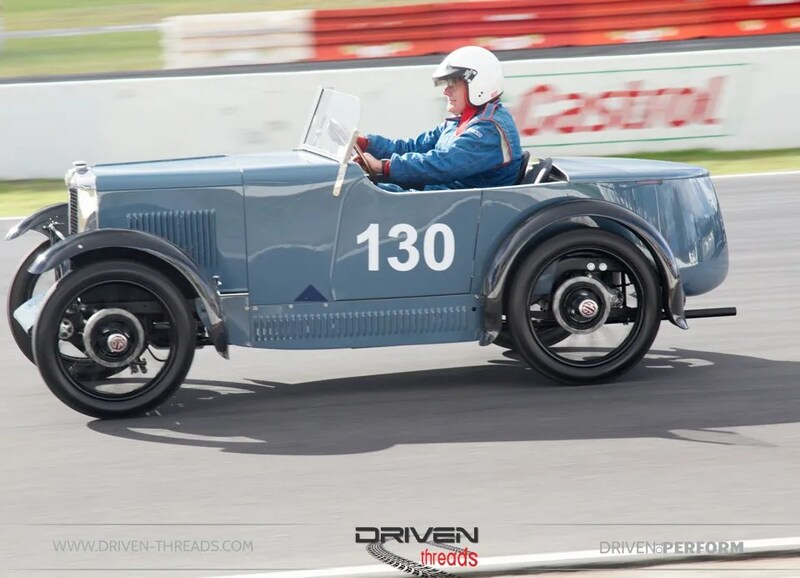 Racing in Group J and owned by Noel Cunningham’s is this 1926 Talbot Darracq Grand Prix. 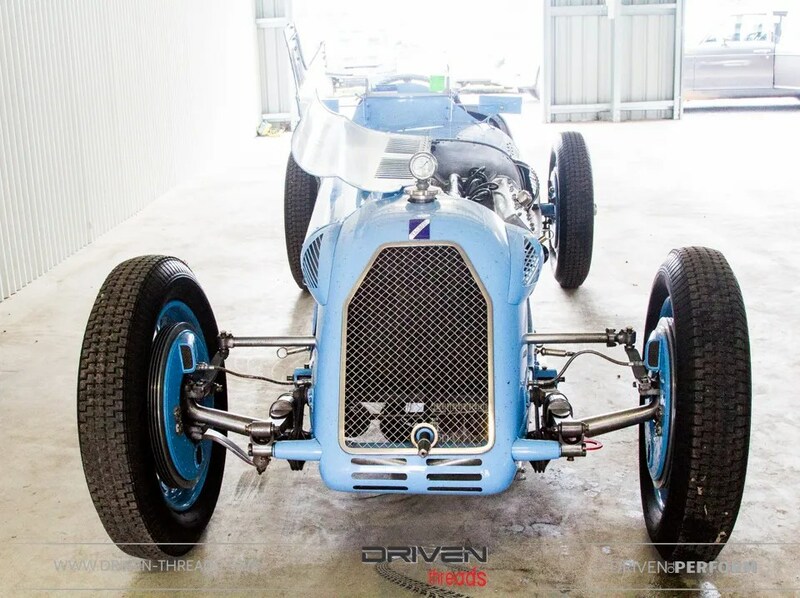 Boasting a stellar pre-war history with Segrave and Nuvolari at Brooklands, Monza and Tripoli its immaculate presentation and presence is inspiring. 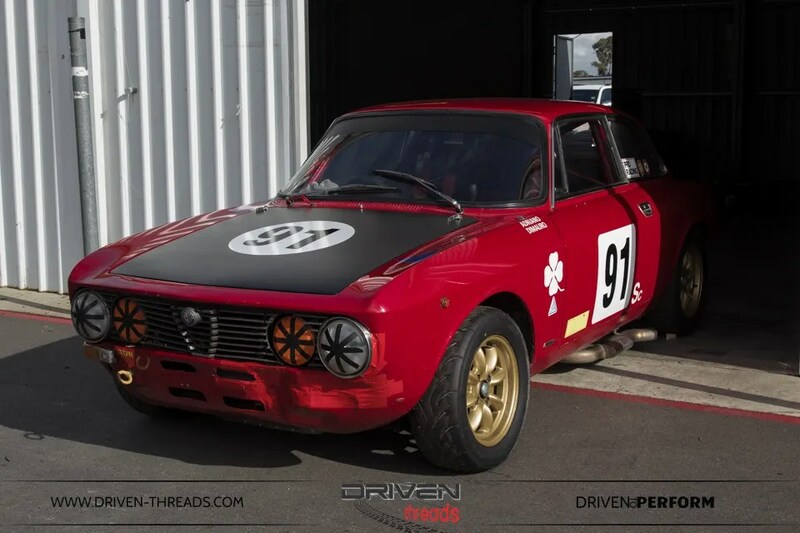 One of our favourite cars in Group SC, is Adriano Dimauro ’73 Alfa Romeo GTV 2 1962. 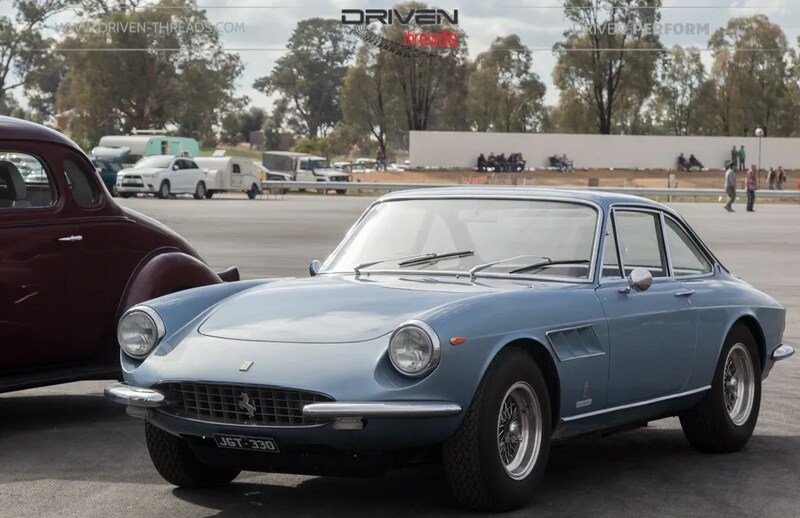 Punching above its weight this car consistently is just behind the Porsche 911’s. 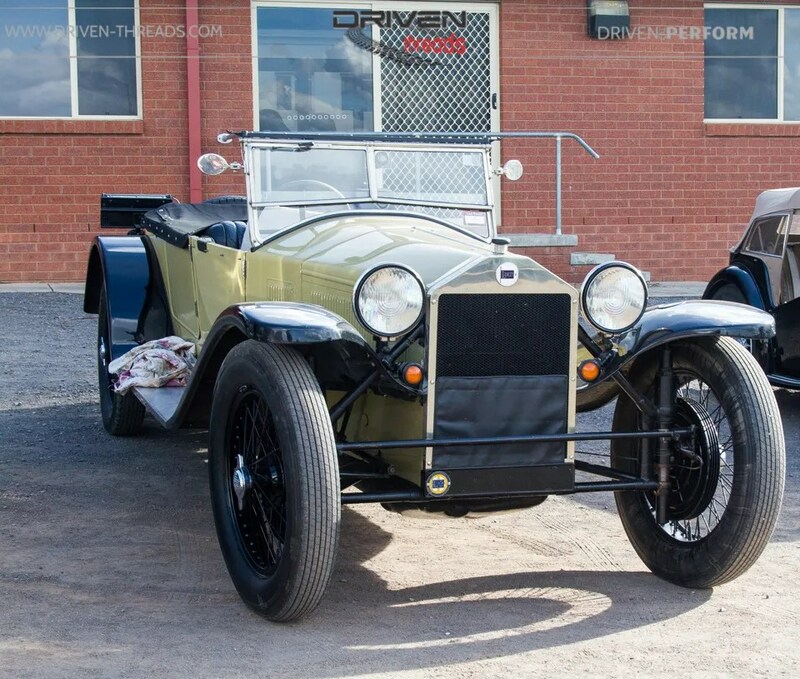 Peter Saglietti’s 1923 Aston Martin is the ultimate pre-war jewel. 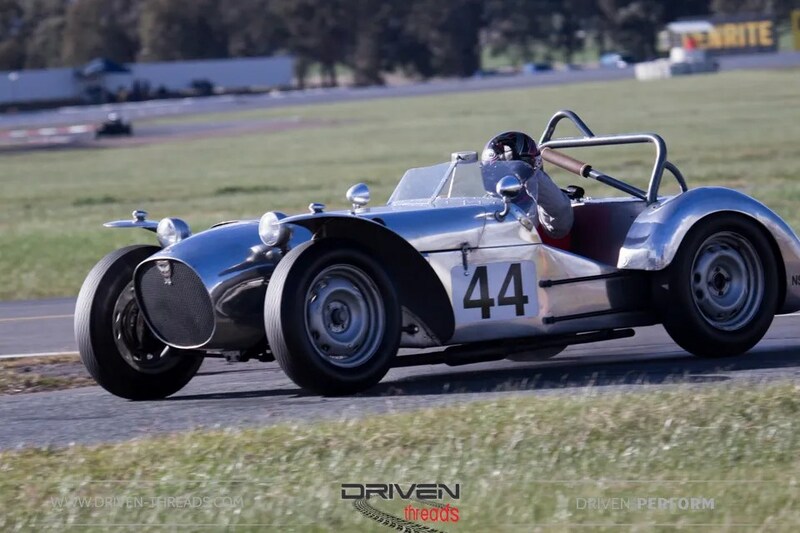 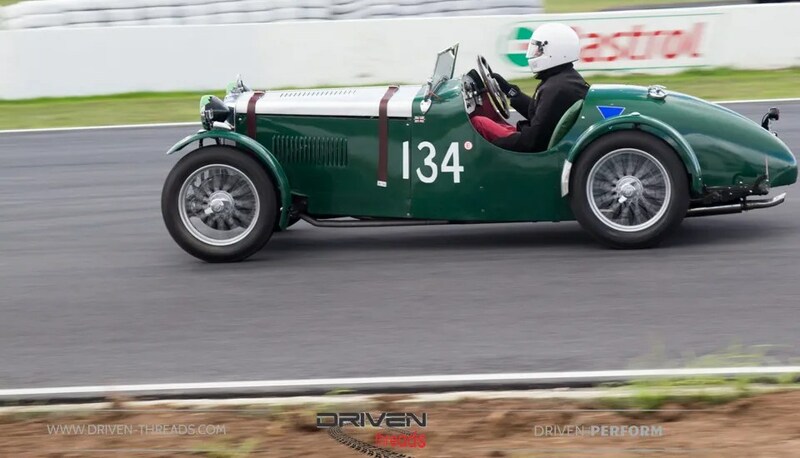 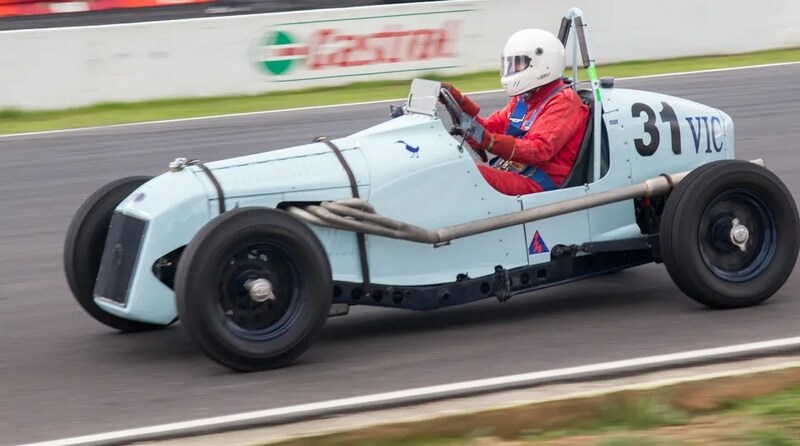 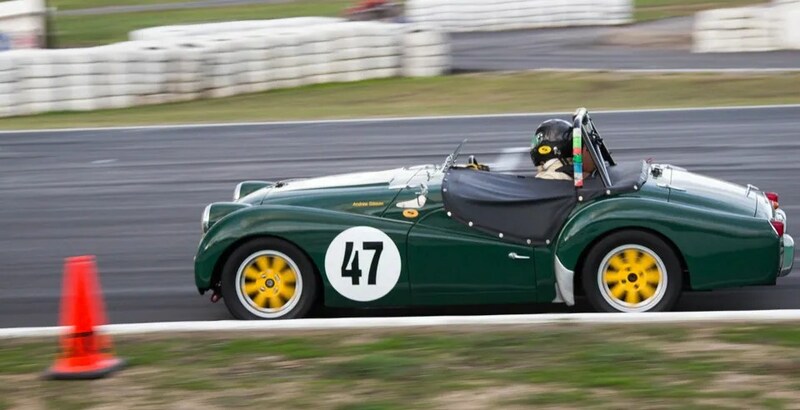 As well as being Australia’s oldest Aston Martin, its the ninth oldest surviving car of its type in the world and the oldest Aston Martin production racecar built as a single seater in the world. 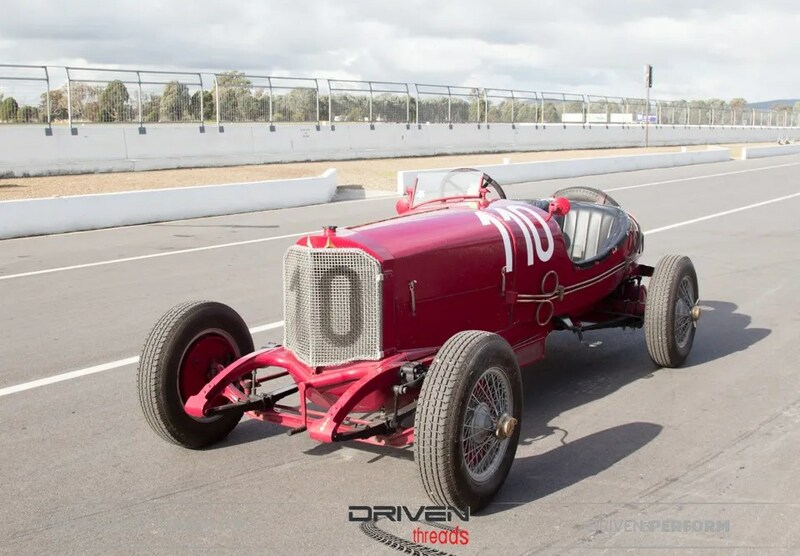 John Goodall imported the car into Melbourne in 1924 and competed at the then Australian Grand Prix at Phillip Island from 1928-1930, where it came third in its class. 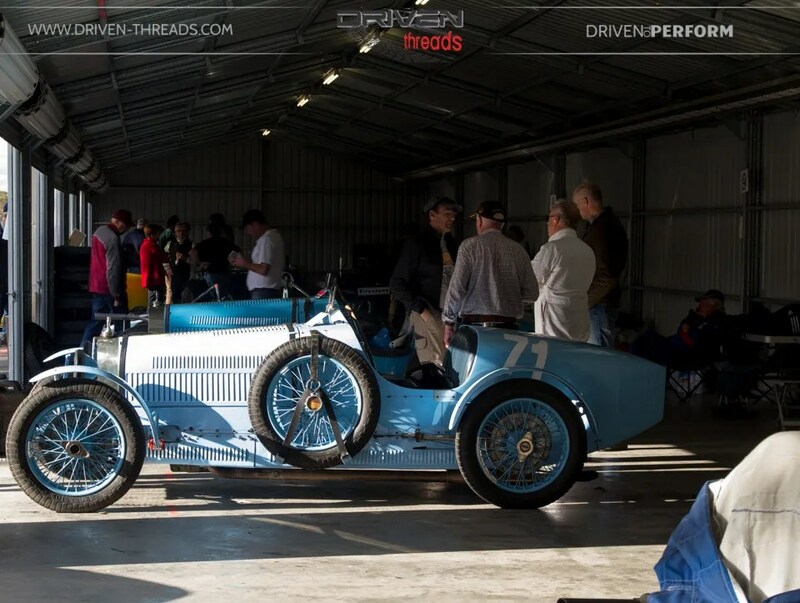 Having undergone many incarnations its currently bodied in an identical style to one that raced at the 1922 French Grand Prix. 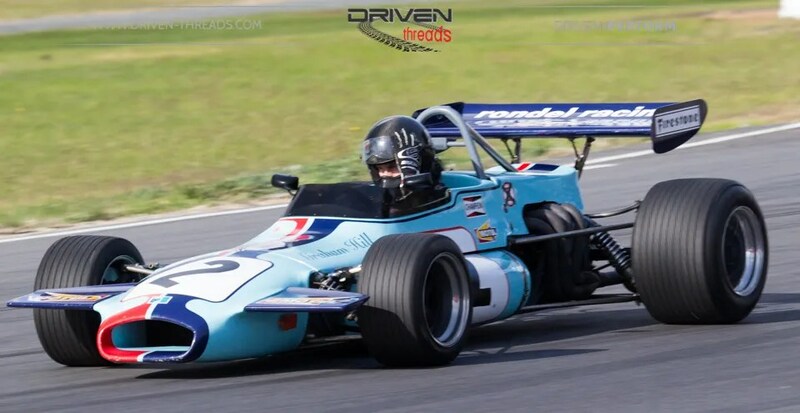 Alan Telfer’s 1971 Brabham BT36/2 was a highlight in the M & O Sports & Racing category. 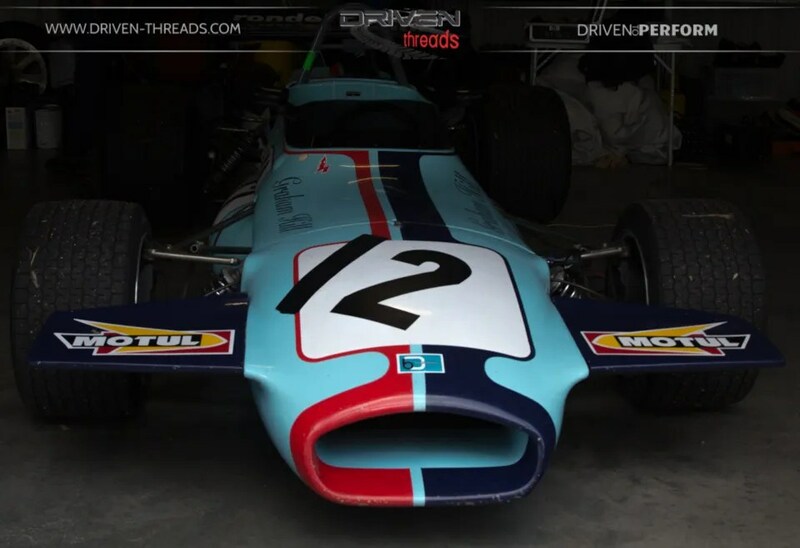 With illustrious race history this machine was driven by Graham Hill, Bob Wollek, Reine Wisell and John MacDonald. 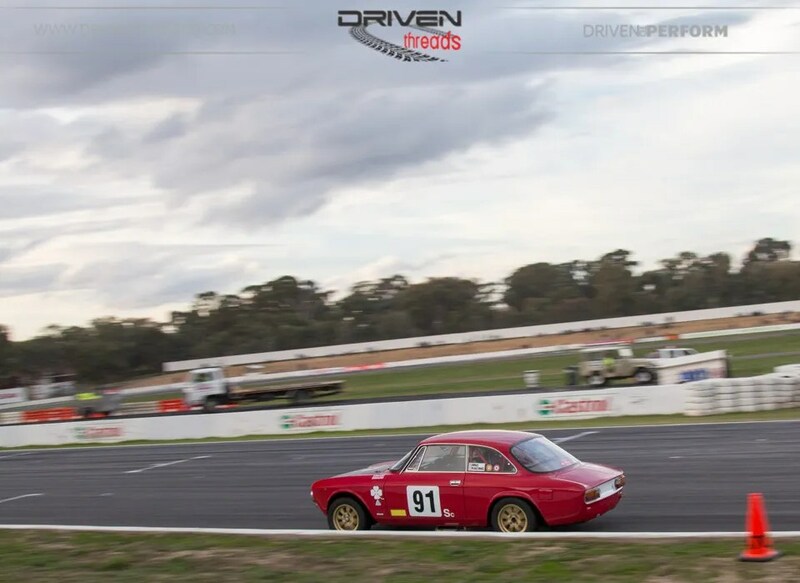 Just like its first race at Hockenheim on the 4 Apr 1971, it wasn’t hanging about lapping the Winton track at around 1:13. 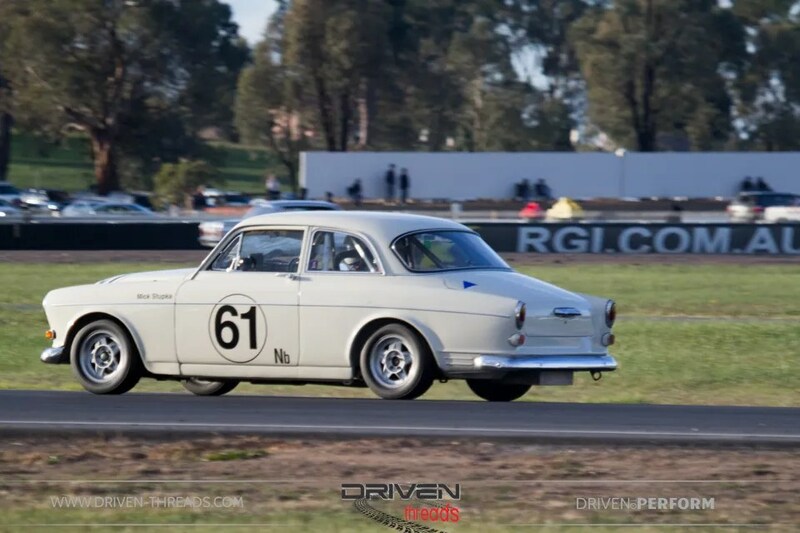 Historic Winton seems to get better every year. 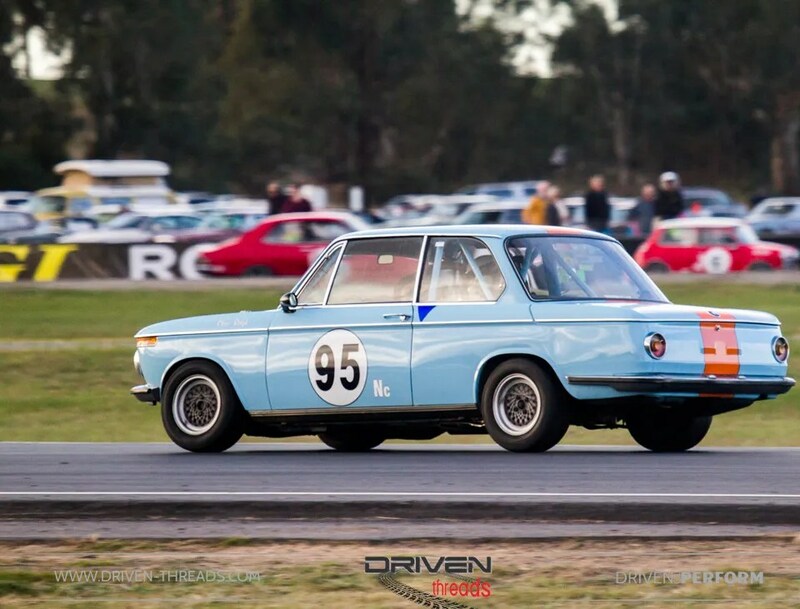 The standard of cars, the racing and the atmosphere. 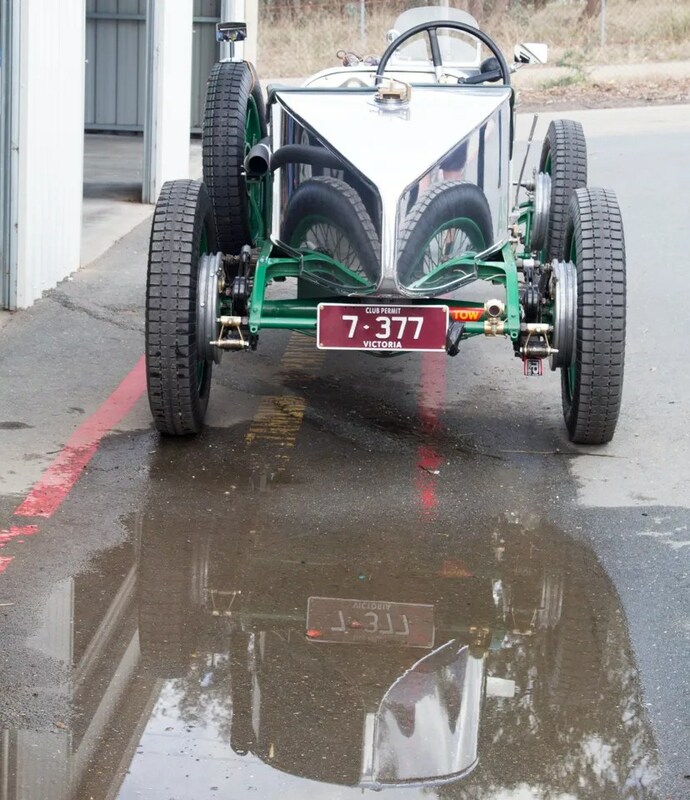 We’ve got a distinct feeling, the best is yet to come. 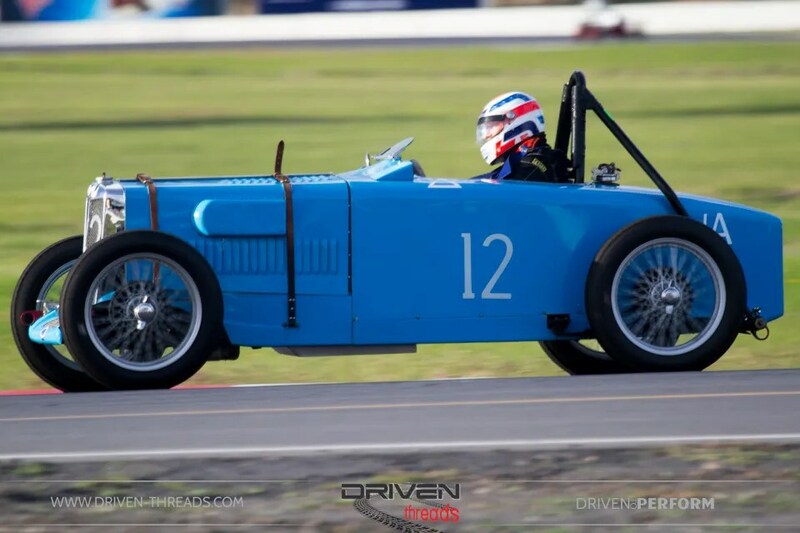 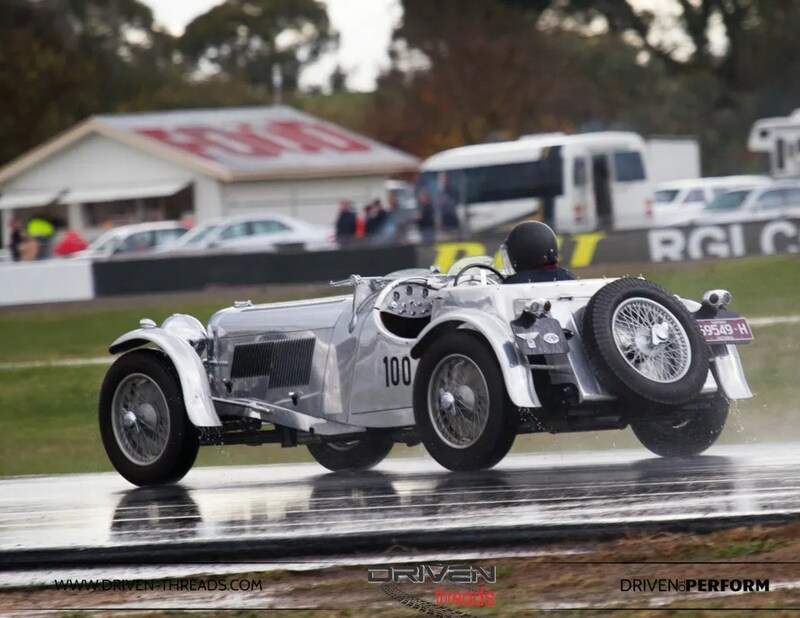 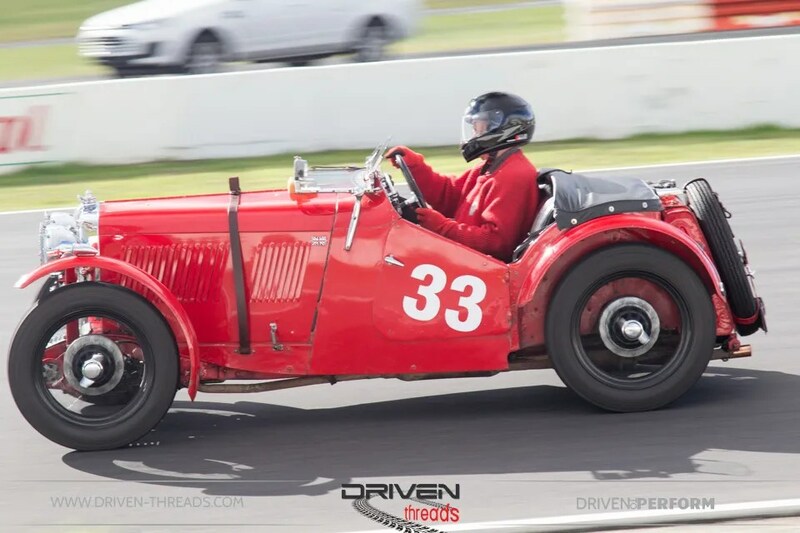 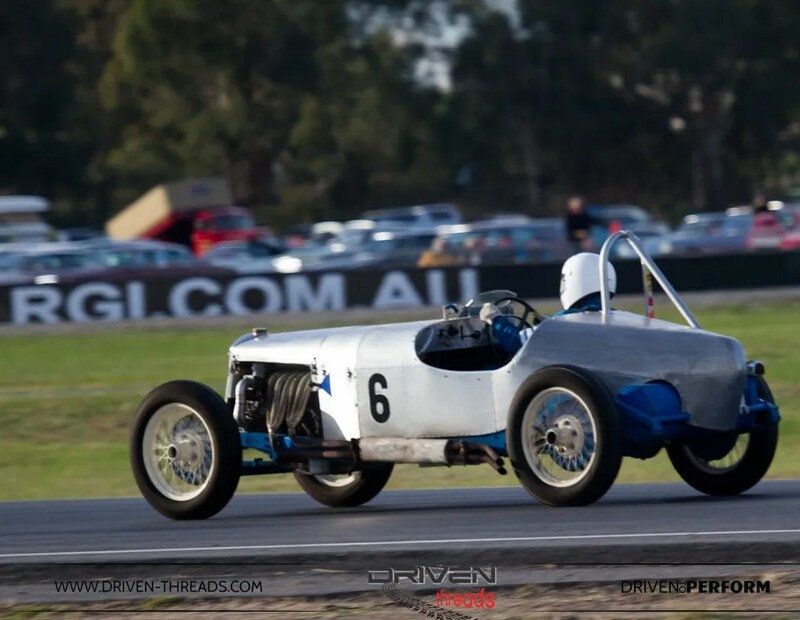 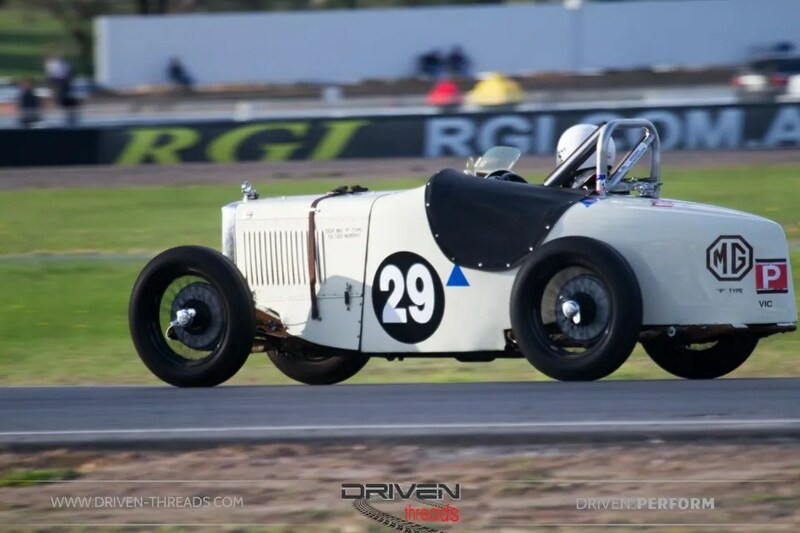 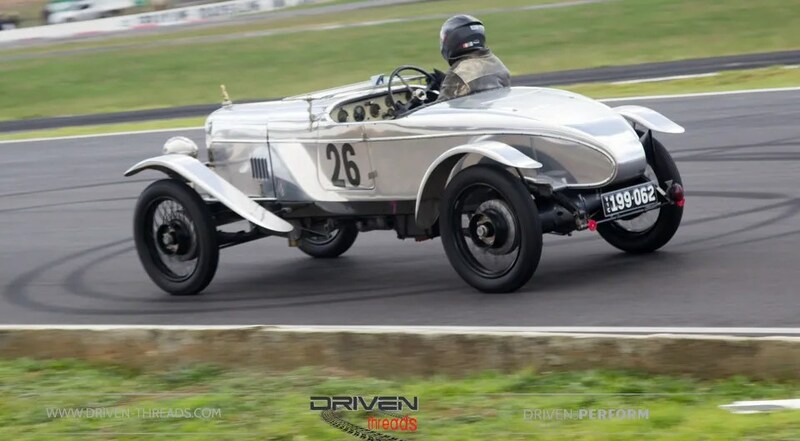 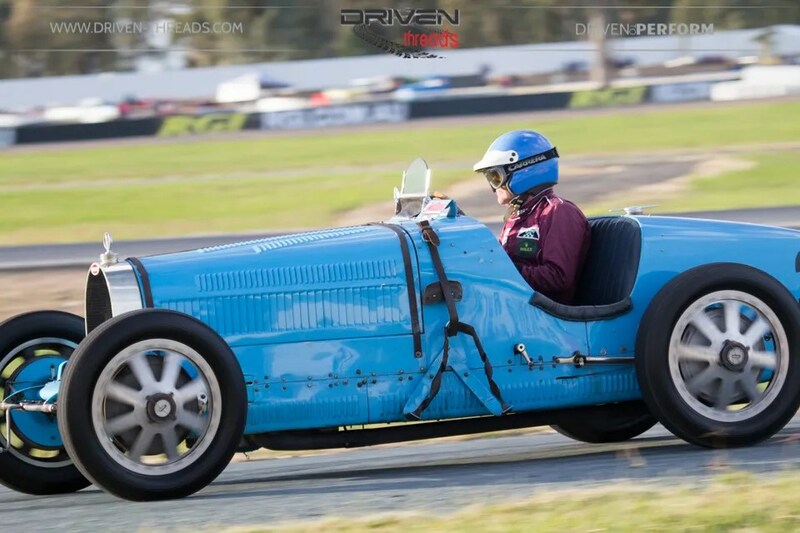 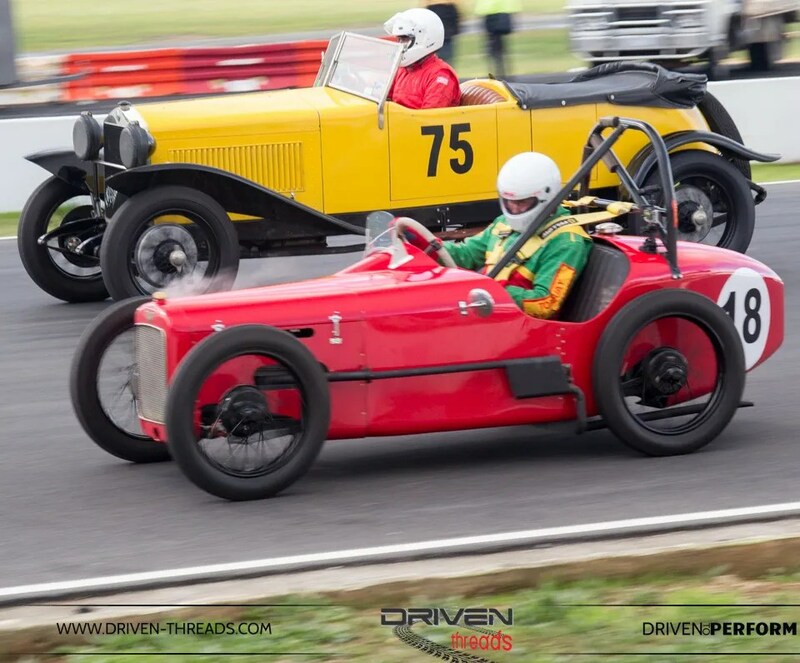 For more on Historic Winton, check out the Austin Seven Club here. 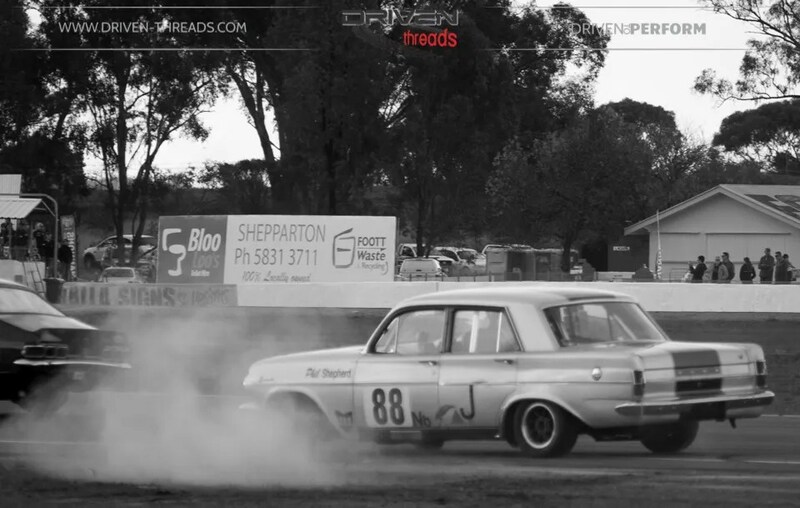 Thanks so much for reading and naturally get to Historic Winton next year.